Content Marketing? But I’m a lousy writer! Content Marketing is a core marketing initiative for many – if not most – firms in the market research industry. A good Content Marketing program can position your firm in the markets you serve, build awareness, generate and nurture sales leads and so much more. Don’t be so hard on yourself. You are not as bad as you think… I promise. You’re smart… your clients are smart… and you interact with them every day. Be confident in your abilities and just write. Start with an outline. If you have an idea for an article or blog post, scratch out a basic outline of the points you’d like to cover. Then wait a little while and go back to add another layer or two to the outline. Wait and do it again. Before you know, the post is just about written… just go back to edit and tweak for tone. Find an editor. Still not feeling great about what you’ve written? Fine… get a fresh set of eyes (maybe a couple of sets) to take a look at it – a colleague… a friend… your spouse… whoever – and have them make some suggestions for enhancing your writing a bit. Write for your 12-year-old niece! Seriously, don’t try to impress readers with high-brow writing. And please get rid of all that jargon and those very technical terms. Write at a lower grade level… it makes the content so much easier to absorb. Even if your readers are all PhDs. And, most importantly, remember this… your writing ABSOULTELY, POSITIVELY does not have to be perfect. It needs to be good and it needs to be accurate… but don’t worry about creating a work of art. You’ll use the content you develop to inform, share observations, espouse your opinion and even entertain. And guess what? Nobody is grading it! 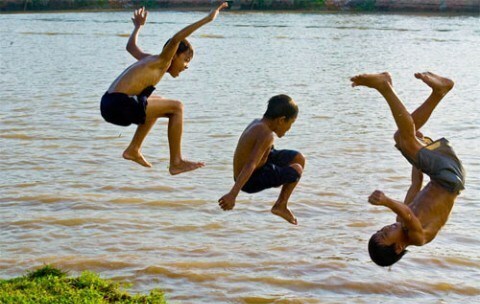 Content Marketing is like learning to swim… get a handle on the basics and then just jump. C’mon in… the water’s fine! To learn more about how Content Marketing can help your firm, download a free copy of A Content Marketing Guidebook when you CLICK HERE.